Parkinson's is a common neurodegenerative ("dying of nerve cells") disease, and although it is not fatal, research suggests it may influence life expectancy. A study in Archives of Neurology examined the six-year survival of nearly 140,000 Medicare beneficiaries with Parkinson's disease in the United States. During the six-year period, 64 percent of the participants with Parkinson's disease passed away. When controlling for variables like age, race, and gender, the six-year risk of death among people with Parkinson's was found to be nearly four times greater than those Medicare beneficiaries without the disease or other common diseases. At the same time, the rate of death among those with Parkinson's disease was similar to those with hip fracture, Alzheimer's dementia, or a recent heart attack—although it was higher than those who had been newly diagnosed with either colorectal cancer, stroke, ischemic heart disease, or chronic obstructive pulmonary disease. What does this mean? It implies that having Parkinson's disease impacts a person's longevity. But remember, it's not Parkinson's disease itself that is fatal. Rather, it's the complications like infection or falls that occur as a result of having Parkinson's that commonly lead to shorter life span. Dementia also plays an important role in survival with Parkinson's. 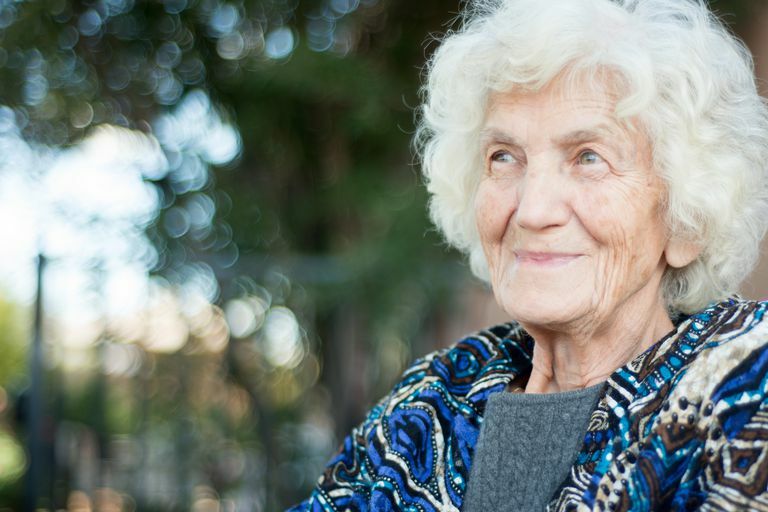 By the end of the above study, nearly 70 percent of the population with Parkinson's had been diagnosed with dementia, and those with dementia had a lower survival rate as compared to those without. This means that those with dementia were more likely to die during the six-year period than those without dementia. In addition, scientific studies have shown that increasing age is linked to an increased risk of death. It's important to remember that how a person's Parkinson's disease manifests and progresses is variable, and a person's neurologist cannot accurately predict individual life expectancy. In other words, there are simply no key signs or symptoms that allow a doctor to perfectly predict longevity. An older age and the presence of dementia are simply associated with an increased risk of dying. Less common causes for hospitalization were problems related to the stomach or intestines, muscles, nervous system, or endocrine system (for example, diabetes). It is not surprising that infection was the most common hospitalization before death, as people with Parkinson's are vulnerable to developing a number of infections as a result of their disease. For example, bladder dysfunction in Parkinson's increases a person's risk of developing urinary tract infections, which can become life-threatening if not detected and treated promptly. In addition, research suggests that aspiration pneumonia is 3.8 times more common in people with Parkinson's as compared to the general population. It has also been consistently reported to be the main cause of death in people with Parkinson's. Aspiration pneumonia results from underlying swallowing difficulties, which leads to stomach contents being inhaled into the lungs. Immobilization and rigidity, which can impair phlegm removal, also contribute to the development of pneumonia in people with Parkinson's. Of course, heart disease is the leading cause of death in the United States, so it's not surprising that people with Parkinson's are hospitalized for this prior to death. Interestingly, the authors of the study postulated that some doctors treating people with Parkinson's may mistakingly attribute symptoms of heart or lung disease (for example, fatigue, weakness, and trouble exercising) as symptoms of Parkinson's. In addition to caring for your Parkinson's health, it is also important to care for your overall health. This means visiting your primary care physician periodically for preventive care like the annual flu shot and cancer screenings—for example, a mammogram for breast cancer screening and a colonoscopy for colon cancer screening. A primary care physician can also evaluate for risk factors related to heart attacks and strokes, and provide counseling on exercise, smoking, alcohol use, depression, or other mental health concerns. Regular visits to your primary care physician or neurologist will also allow him or her to catch bacterial infections like urinary tract infections before they get serious. In other words, while having Parkinson's disease may impact your or your loved one's life expectancy, the good news is that quality of life (and possibly longevity) can be improved with proper care. Be sure to schedule regular follow-ups with your doctor, and engage in advised therapies like physical and occupational therapy, especially early on in the disease. Macleod AD, Taylor KS, Counsell CE. Mortality in Parkinson's disease: a systematic review and meta-analysis. Mov Disord. 2014 Nov;29(13):1615-22. Martinez-Ramirez D. et al.Rate of aspiration pneumonia in hospitalized Parkinson's disease patients: a cross-sectional study. BMC Neurol. 2015;15:104. National Parkinson Foundation. What Is Parkinson's? Pinter B, et al. Mortality in Parkinson's disease: a 38-year follow-up study. Mov Disord. 2015 Feb;30(2):266-9. Willis AW, Schootman M, Kung N, Evanoff BA, Perlmutter JS, Racette BA. Predictors of survival in Parkinsons disease. Arch Neurol. 2012 May;69(5):601-07.